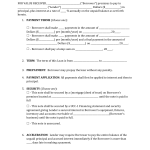 Download Wedding Checklist Template that is designed to assist any couple or family to create and prepare for a wedding. 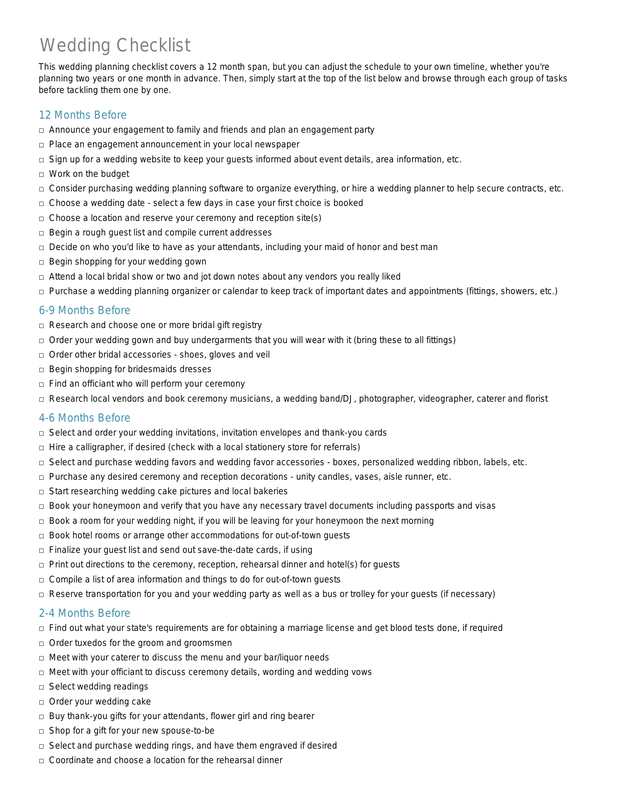 This checklist will begin from 12 months prior to your particular event and take the wedding plans your wedding day. If this checklist is followed closely, it’s likely that creating your wedding will go smoothly from beginning to end. Always remember you can adjust the list, add or remove tasks that do not apply should you so desire. Announce your engagement to your family and friends, if you choose you could plan an engagement party. From this point, simply complete the tasks and check each one off as you go so that you know what is in order and what needs attention. Research other aspects of what is involved with a wedding i.e. ; photographer, musicians or bands, flowers etc. Select (and purchase, if possible) wedding favors and accessories, reception accessories vases, candles etc. There are several other tips in this section for excellent preparations. It will now be time to create your seating for the reception, creating place cards etc. 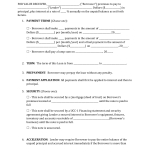 Provide your caterer with the final count with regard to guests attendance. Confirm all transportation for out of town guests, wedding party, etc.